This is going to be a review of the NYX Matte Finish setting spray that I picked up from Blanc to Noir couple of months back. I was always intrigued with setting sprays and how much beauty enthusiasts raved about the wonders they do to oily skin and caked up makeup! This is a definite win for me, read on to know why. Demand Perfection! For that fresh make up look that lasts, NYX Makeup Setting Sprays are lightweight and comfortable while working hard to make sure your makeup stays put. Available in a gorgeous Matte Shine-Free Finish or Dewy fresh glow. The product comes in matte and dewy finish and of course I need to grab the one that compliments my oily combination skin which is the matte finish. First of all the bottle looked way bigger than what it is which made me expecting a huge bottle of setting spray but I should have read that the quantity is only 60ml/ 2.03 fl. 0z which seems more like a deluxe sample size in my opinion. The packaging is a nice sleek black bottle but my huge complaint comes with the nozzle! The way it sprays is too concentrated and doesn’t give a fine mist thus you end up with uneven application of this product. I have read quite a bit of reviews from others too having this complaint which means nyx better be amending this. It’s best if you transfer the product to a spray bottle which sprays better. The actual product is great! It’s surprising how a drugstore brand can actually achieve its claims but for my oily skin, it worked. It kept my makeup oil free for about 3 hours more than how it would have been without this on. The next point that I absolutely loved is that it made my makeup look as though I didn’t apply any powder. I personally love using powder with a puff which means will be packing on more products giving the cake face but this completely diminishes that look. The scent of this is a little disturbing to be honest. It smells very chemical and somewhat like a medicine an unscented version would be really great and appreciated. The liquid is clear and it wouldn’t stain your clothes if it did come in contact with this product. I’m excited to try the dewy finish for those days when I have dried skin due to my acne medication! 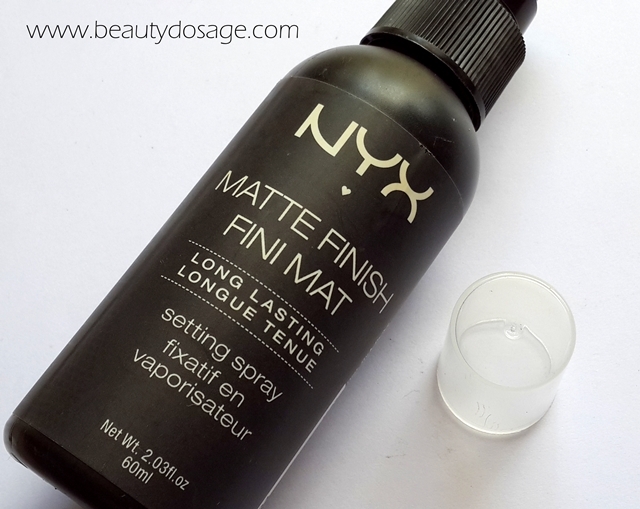 What’s great about the NYX Matte Finish setting spray? 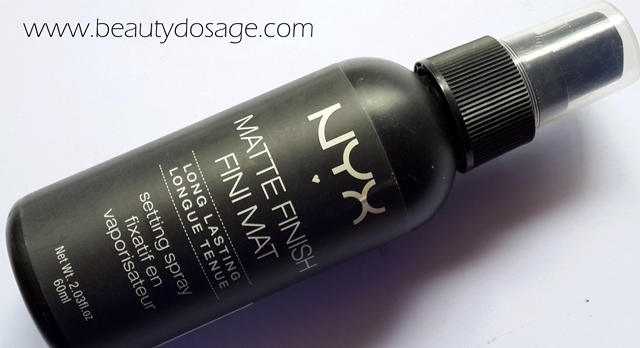 What’s not so great about the NYX Matte Finish setting spray? This was my first go for a setting spray and I quite liked it a lot! NYX is available in drugstores so it wouldn’t be a hassle to try it out yourself! Great for beginners concerning the cost of $8 and result it gives. I highly recommend this product! 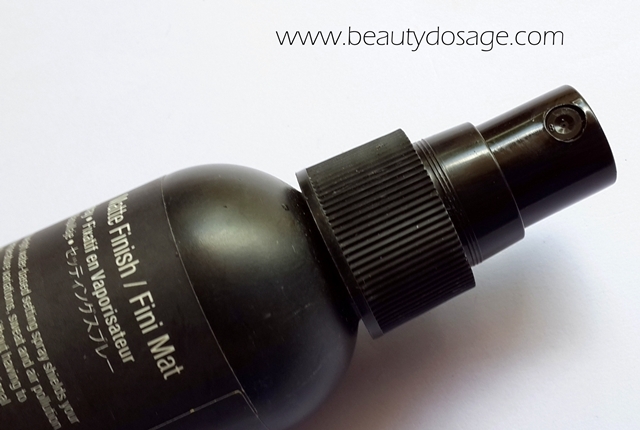 Try the dewy finish version if you have dry skin. Oily skin girls can definitely try the dewy version provided you have mattifying makeup on. Loved the pics Jeeshan. This sounds nice. loved the clicks n I have started using nyx products..
would love to try this one..